Disclaimer: the products reviewed are from samples I received via Influenster. I was not compensated in any way to promote these products. The products were complimentary used for testing. All opinions are my own. I recently received, tried and have been reviewing samples received in the Cherish Vox Box from Influenster. There were many I liked, and a couple I didn’t. The box includes a BarkBox toy, Mott’s Sensibles Apple Raspberry juice, Vera Wang Embrace Fragrance (French lavender & tuberose), Dove Men+Care Stain Defense Cool Antiperspirant Deodorant Dry Spray, and Pantene Pro-V Daily Moisture Renewal Foam Conditioner. First, our dog Blitz LOVED his new toy. We usually don’t give him plush toys because he can destroy them quickly. However, we learned to only let him play with it for a bit (supervised), before he can be destroy it, put it away for a few days then bring it out and the cycle continues. Seriously considering joining the BarkBox club especially since I read they have boxes for super chewers – this is definitely our Blitz. Second, my daughter and husband tried the Mott’s juice and although they both thought the fruit combination was weird the juice was good. According to the info I received from Influenster, this juice is only available at Target. Third, I’m not a big perfume user, so I wasn’t a huge fan of the Vera Wang perfume sample. Although, the scent is not completely overpowering as it is with other perfumes. Fourth, my daughter tried the Pantene moisture renewal foam conditioner because she uses the Pantene shampoo on a regular basis. She has thick hair and said she could tell a difference after using it that using it in combination with the Pantene shampoo, her hair feels softer. Finally, the Dove spray deodorant. To say my husband was not a fan is an understatement. He didn’t like the scent – reminds him of a sterilized smell rather than a fresh and clean smell. He likened it to using Lysol as a deodorant. Overall his general preference is solid deodorants to spray ones. Click here to read other Influenster reviews. Disclaimer: the products reviewed are from samples I received via Influenster. I was not compensated in any way to promote these products. All opinions are my own. 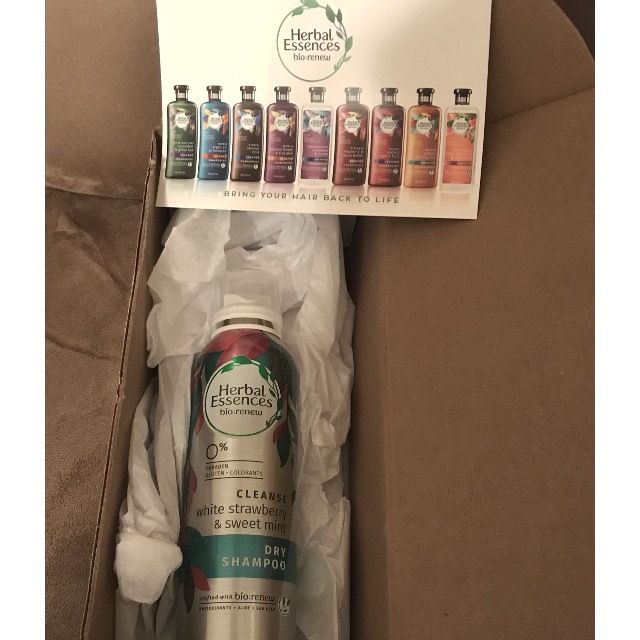 A few weeks ago I received a full size can of Herbal Essences Dry Shampoo in the scent white strawberry and sweet mint. I’ve used dry shampoo before and have always found it easy to use and this was no different. When I first tried the Herbal Essences dry shampoo I wasn’t a fan of the scent. As I have continued to use it the scent doesn’t bother me as much. I think it was just strawberry or just mint it would smell better than the combination of the two. In any case, the product goes on easy and works great. It’s nice to use on those in between hair washing days. I recently received, tried and have been reviewing samples received from the Poppy Vox Box. There were many I liked, and a couple I didn’t. Let’s start with the good. 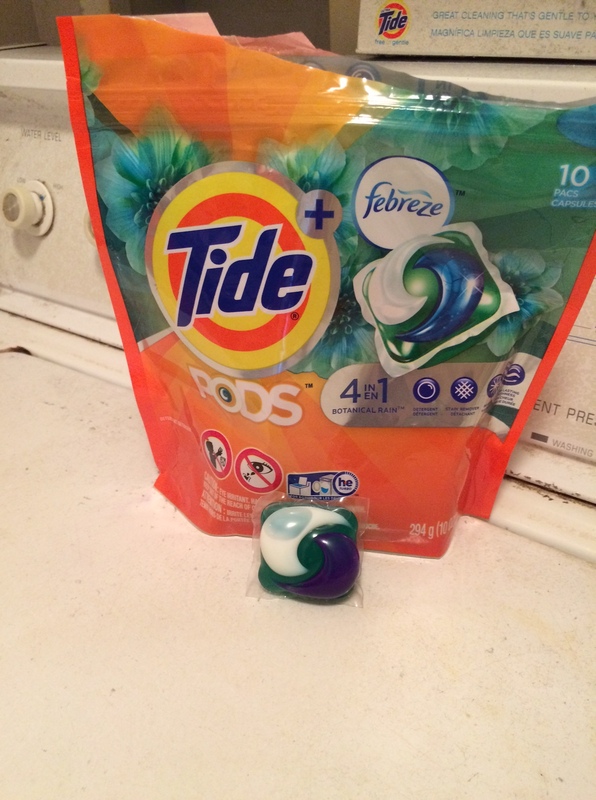 First, I’ve been a faithful Tide user for quite some time, so receiving a free Tide pod was great! Tide is great at getting stains out and it smells great! The pods just make doing laundry easier since you only have to toss one of these into the washer rather than measuring out a liquid or powder. This is a definite must buy. Next up is the eva nyc dry shampoo. It smells great and is so easy to use. Perfect for those days you don’t feel like washing your hair 🙂 I highly recommend this one too! Third is the Nivea in shower body lotion. Although it’s one more thing to do in the shower, it does leave your skin feeling smooth and refreshed. Fourth are the Rimmel products – Scandaleyes eyeliner (black) and the Oh My Gloss! oil lip tint. The eye liner goes on smoothly and lasts for hours! The oil tint, in orange, was interesting, though it did leave my lips feeling smooth and shiny. Fifth was the 7th Heaven finger and nail cuticle masque. I didn’t really care for this. As you have these “booties” on your fingers for 15 minutes you’re not able to do anything else until the time is up. I also couldn’t tell a measurable difference in how my fingers/cuticles felt before and after the process. Finally was the Nyakio Kenyan Face Polish. This, in my opinion, was the worst item in this box. Although my skin is more on the sensitive side, I didn’t have this product on long before the stinging and irritation began. I couldn’t get it off my face fast enough. Even minutes after removing the polish (and applying a face moisturizer), my face was still stinging. Overall, I loved this Vox Box, the only exceptions were the 7th Heaven and Niykio products. Thanks Influenster! 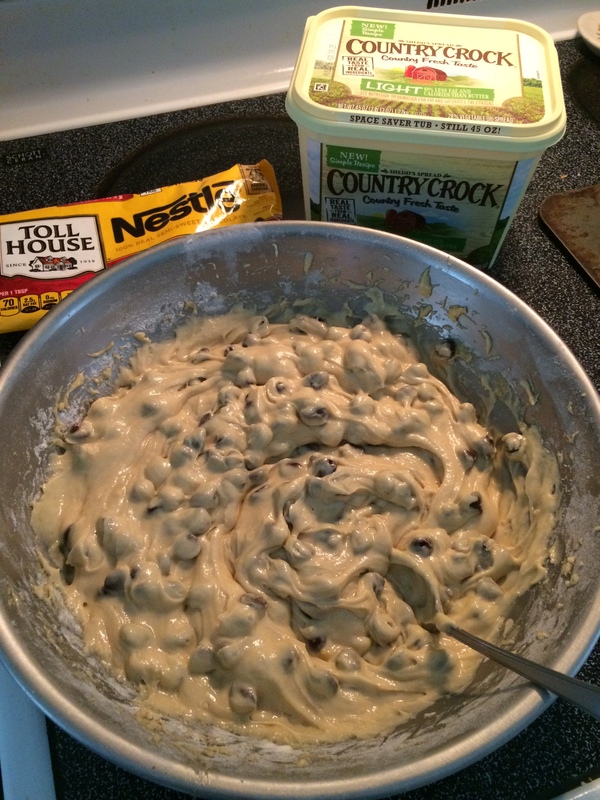 Recently I completed the #MakeItYours Country Crock challenge with Influenster, using a coupon they provided for a free tub of Country Crock. When I came home from visiting family at the holidays I had this cute little box waiting to be opened. 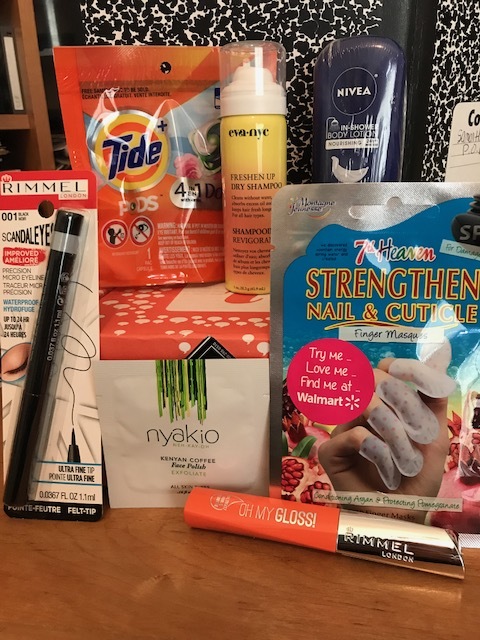 The Jingle Vox Box (#jinglevoxbox) from Influenster included a Hallmark itty bittys Olaf, Pure Ice nail polish, Biscoff cookies, true volume lashes and application adhesive from Kiss, sample size Cetaphil moisturizing cream, coupon form free Ore-Ida tater tots, and a NYC City Proof 24 hour eyeliner (brown). Like I said, so much in one little box. First, love ♥ the Olaf – he’s just precious. He’s hanging out in my bedroom just looking cute. Second, love the Pure Ice polish (in Shore Bet). I don’t paint my fingernails often, but this shade looks pretty good on me, if I do say so myself (and I do). 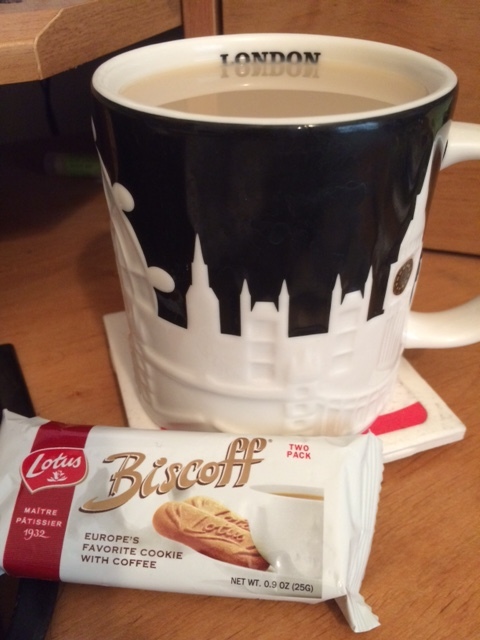 Third, as I discussed in another post, love, love, love ♥♥ the Biscoff cookies. They are so delicious! Fourth, Ore-Ida has been the only brand I purchase tater tots or fries from, so to receive a coupon for a free bad was spectacular! Now to check out and try some of their recipes…if the kiddos will try them. Fifth, the NYC City Proof 24 hour eyeliner hasn’t let me down yet! Hope they have this brand at Ulta when I need a new one…or other color. Sixth, the Cetaphil moisturizing cream has been working great on my face, especially with how dry it has been since winter decided to visit southeast Georgia. Finally, the Kiss true volume lashes and adhesive. I have never worn fake lashes, so honestly I have not removed them or the adhesive from their packaging. I think I have a couple of friends who do wear them, so I’m going to pass them on for someone else to try. 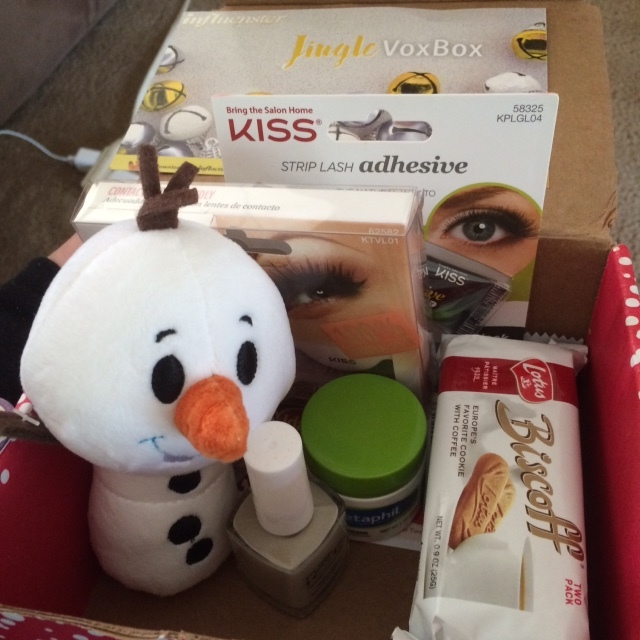 Overall, my #JingleVoxBox rocked it out of the park! Thanks Influenster! Disclaimer: the product reviewed is from a sample I received via Influenster. I was not compensated in any way to promote these products. All opinions are my own. 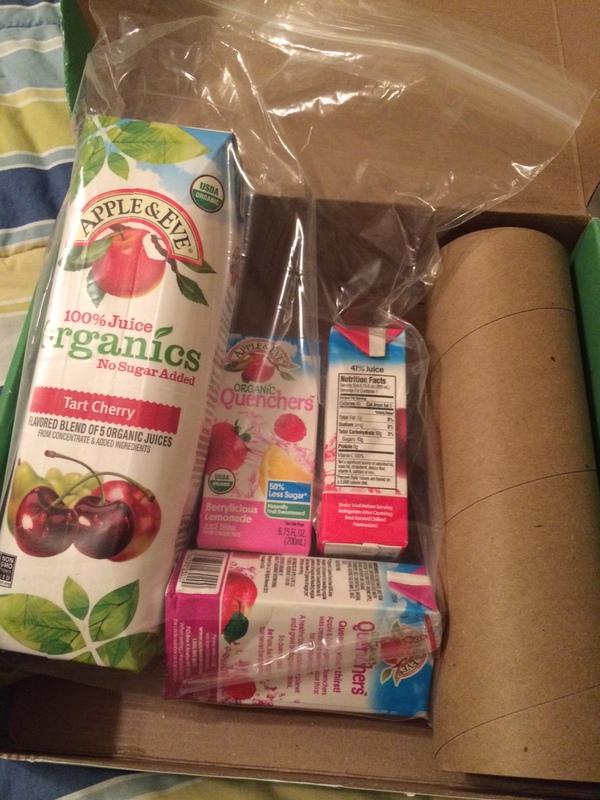 I recently received a #JingleVoxBox from Influenster filled with goodies. Among the goodies were some Biscoff cookies. I’ve had the pleasure of eating this brand before when flying Delta. This cookies have just the right amount of cinnamon and crispiness…they are simply delicious! The other day I had some with a warm mug of tea and posted it to my Twitter page – the cookies and tea were like a warm hug on a chilly day…and they are 🙂 I always eat the cookies slowly to savor their taste. If you find these for purchase, grab some you won’t regret it. And if you’re flying Delta ask your flight attendant for the Biscoff cookies. I recently received some Apple & Eve juices to try and review. I received a quart of tart cherry and three juice boxes (flavors fruit punch blast, razzberry apple splash and berrlicious lemonade). The product is organic, made from concentrate with added ingredients. The juice boxes (quenchers) weren’t liked much better. The favorite flavor was razzberry apple splash – my daughter wants more of it 🙂 The others were “awful” and “disgusting” according to her. In all, I’m on the fence about the product. While I enjoyed the cherry, my daughter did not really enjoy any of the flavors. Everyone’s taste buds are different, so I’d recommend anyone give it a try. 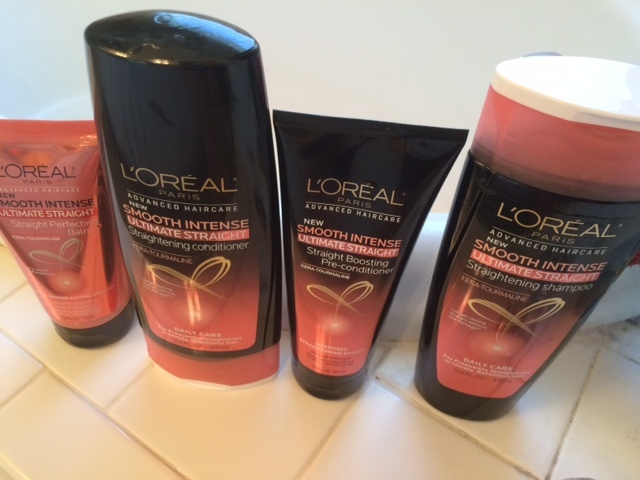 I received the L’Oreal Paris Ultimate Straight Collection two weeks ago. There are four steps in the process – shampoo, pre-conditioner, conditioner, and leave-in treatment. One only uses the pre-conditioner once a week, but the other steps the rest of the time. I only wash my hair every other day and I can tell a difference in how much easier it is to straighten (using my flat iron) on the second day. The first time I went through the steps the water in the shower started to run a bit cold, so the next time I was better about paying attention to the time (you have to leave the pre-conditioner in for a minute and the conditioner for 1-3 minutes). Overall, I am satisfied with how the product works – it also smells great! If you haven’t tried the collection yet, I would encourage you to do so. 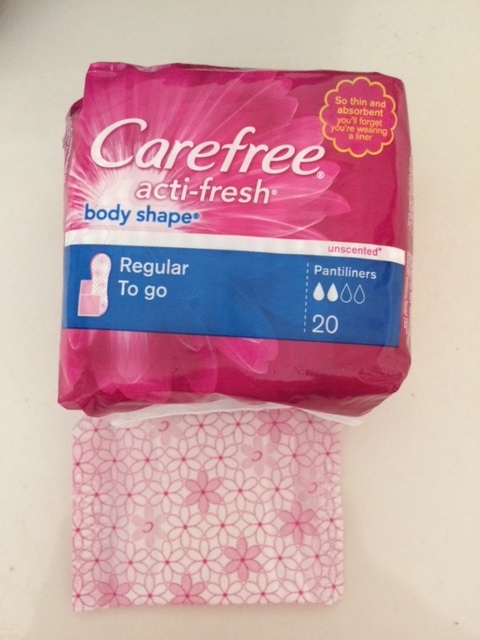 Th e Carefree acti-fresh pantyliners are wonderful! The package is small, and the wrapping for the liner is small and discrete – no loud noises to draw attention to you in the stall. At first I was hesitant given their size. They may be little, but they are mighty! Their thin size make carrying them in your purse or wallet discrete. I did not experience any trouble with leakage or odor while using the liner. As the slogan and hashtag state, #FreshIsFierce. I felt fresh while wearing them and definitely recommend them to others! Have you tried them? What are your thoughts? Share them in the comments section. The Tide Pods (#TidePods) by @Tide have made doing laundry that much easier! I have used Tide liquid and powder for years and was excited to try this new version of their product. I have used it to wash everything from “normal” weekday washings to dog towels and kids sportswear.